I don’t know about you, but I am ready for spring! As a Northern Virginia studio newborn photographer, I do most work indoors, but I love that spring makes people think about brighter, more cheerful colors, flowers, cherry blossoms, and being outdoors.For brand new parents, spring is a wonderful time to take their newborn for a stroll and enjoy all the season has to offer. I, personally, am excited about warmer temperatures, fresh spring air and the germy winter season coming to an end! As a newborn photographer, I am always paranoid about every sneeze and cough because I want to make sure I am 110% healthy when working with newborns, so I always get extra anxious in winter (the few clients who’ve had to wait a few extra days for their newborn session to make sure I am not sick – thank you for being patient!). My own school age kids know all too well about washing hands religiously. We’ve been mostly spared this winter (except for a couple of rounds of nasty stomach bug my boys picked up at school) and haven’t had to deal with colds or the flu, knocking on wood! I guess you already figured I am thrilled about spring! 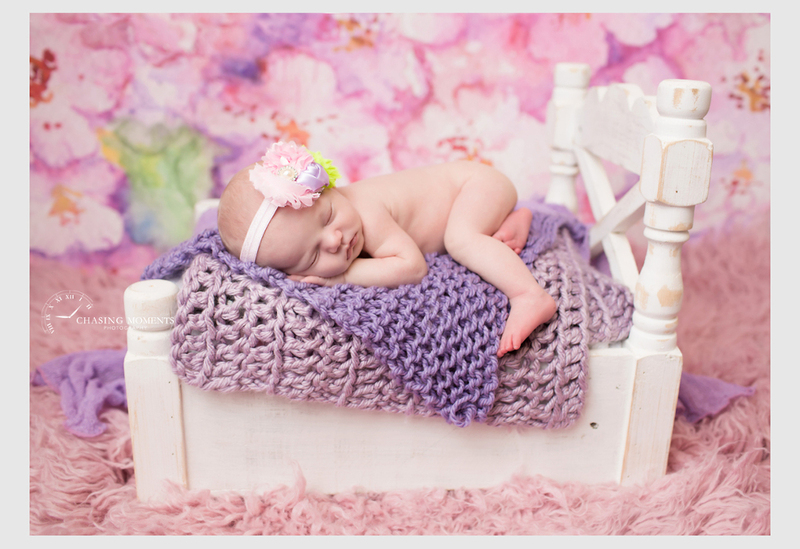 I still have a couple of newborn photo session openings left in April and May, but my summer and September are filling in like crazy so if you are expecting and thinking of looking up a newborn photographer in Northern Virginia, don’t wait too long! Most of us, full time professional newborn photographers book up for months in advance, so grab your spots sooner rather than later. If you love my work and would like to get more information about booking a newborn session with me please email me at chasingmoments@gmail.com and I”ll write back with my pricing and availability details.